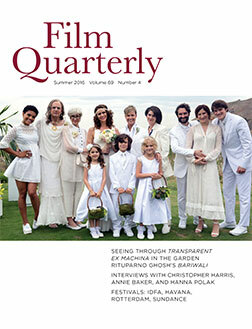 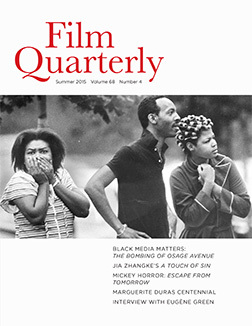 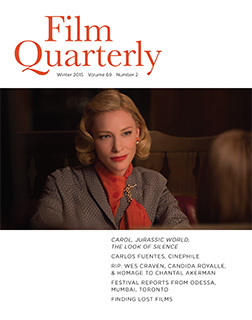 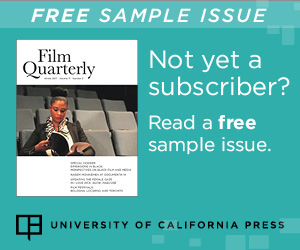 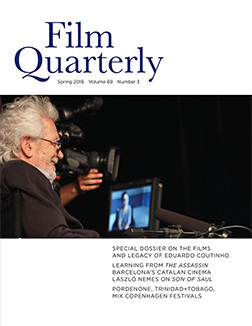 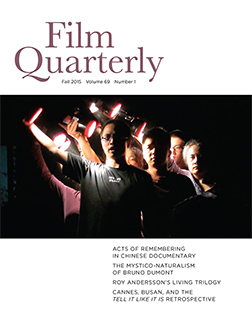 First things first: this issue marks the arrival of Rebecca Prime as Associate Editor of Film Quarterly. 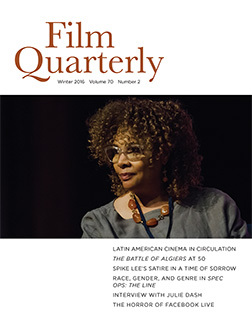 Rebecca first published a book review in FQ back in 2006 and also had one in the last issue, with articles in other journals in the interim. 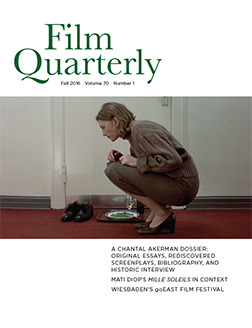 Rebecca is a film historian, editor of Cinematic Homecomings: Exile and Return in Transnational Cinema (Bloomsbury, 2014), and author of Hollywood Exiles in Europe: The Blacklist and Cold War Film Culture (Rutgers University Press, 2014).